There are a few things right now that I would like to call my own. One of them is the new Net-A-Porter mobile app that is an invitation only mobile site. 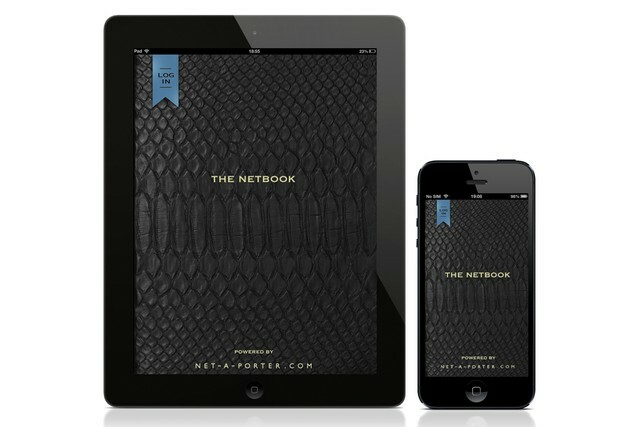 The app called the “The Netbook,” is based on the idea of a diary, a metaphor for the physical diaries that we carry around with us to meetings and our crazy lives. It’s an app with a live feed that shows what shoppers, stylists, editors are buying, pinning, and selecting in real-time. I was recently interviewed for an article, not yet published, about my favorite fashion apps and why I use them. Besides Pose, I am on Fitting Room Social, Poshmark (a marketplace to recycle my goods) and others. In the same way that Facebook has “friends” and Twitter has “followers,” users of this shoppable app will be able to become a part of a virtual world and build a “love list” filled with a community of customers. What else would I love to call my own? I don’t know if I can believe the hype until I’m in, but just like a Soul Cycle class, it feels good just to get off the wait list. The cherry on the proverbial sundae? Gimme these fat Celine creepers that I am also on the wait list for, and I will immediately love thee.